Standard Operating Procedures (SOPs) and the NOAH Principal are very important to remember as you start and grow your speech therapy private practice. In this episode, I discuss keeping notes and logging every aspect of your business on paper. You will quickly find that when you are just starting out, you are actually developing SOPs for your business. These SOPs then need to be refined over time and then cross-trained to others in your business (the NOAH Principal). NOAH is important for your business to run smoothly, because if an employee is out for any reason, then your business will run efficiently and smoothly. Another principle I wanted to talk to you about today is the Noah Principle. And when you think about Noah, you think about Noah’s Arc, and when Noah was loading all those animals on to the arc in pairs, two animals. So, you want to make sure that two people in your office are trained on every single procedure. That way, if somebody is out on vacation, or unfortunately, if someone is sick, the other person can take over that task. It’s very important. Well, Hello everyone! You’re listening to the Speech therapy Private practice Startup Podcast; this is episode number 26. My name is Kyle Meades and I’m a speech pathologist since 1993 and these podcasts are designed to help you improve your business and your life one podcast at a time. Welcome back to the show everyone. Thanks again for all the emails and questions. I really appreciate you guys being out there and as always I hope you’re getting valuable information from these podcasts. I going to say it value is what you get in the absence of money. And these podcasts are 100% absolutely free for you all. If you wouldn’t mind just please simply go to the iTunes platform of podcast, and leave some good 5 star feedback for the show. I really appreciate in the last month a couple people have left some good 5 star feedback. And that way other speech pathologist like yourself can find this information more easily and it’s readily available for everyone out there. So I just want everybody who is looking for this information I want them to be able to find it pretty quickly. Also, today is May the 1st, 2017. As of today, we have over 13,766 listeners to this show, and man, that is so neat! I remember, we had two listeners, and it’s just really growing. Keep the questions coming in! And if you need to ask me a question, go to www.privateslp.com/contact it’s on the webpage there. Also too, I have one space available for the Perfect student. That’s when you can fly in to Tucson and work with me one-on-one, and I’ll show you all the details and innermost workings of a Speech therapy private practice, where you can start your own private clinic, or if you’re interested in a home health agency, I can show you that, too. 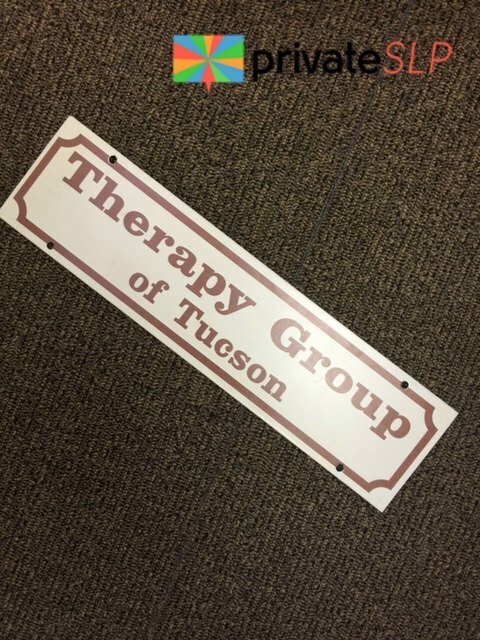 We have two businesses here in Tucson, and combined we see well over, I would say it’s about close to 1700 people every month; we see, we provide speech and occupational therapy. We’re actually moving into a new office. This is going to be our third move in the past five years. Our first office was on Pima & Beverely, then we moved to Farness, and then from Farness we moved to Rosemont and Grant, and then from Rosemont, we’re acquiring the next-door space, which is an additional 2,500 square feet for Pediatric physical therapy, as well. So by the end of the year, we are going to be providing Speech therapy, Occupational therapy and Physical therapy as well. Its really exciting times! And there are some people in the private community as well, and they’re getting all that valuable information as well; now, that’s not free, but I’ll tell you what. You’re going to get some really good information in that community. Last month, we had a webinar on Database, CAQH database, and contracting, and credentialing. We had a special guest, and all the listeners on the call were able to get as much information as possible about getting their practices ready to accept insurances. I’ve got the team who worked on that whole webinar, transcribe and put it into a PDF format. Also you can listen to those pre-recorded calls in a MP3 format, or you can just simply watch the video. And for those members in the PrivateSLP community, if you can’t make the scheduled call, it’s always going to be loaded back into the community within a matter of 24 hours, so you’re always going to get that training and valuable information. But it’s really exciting times for a Speech therapy private practice startup podcast and the PrivateSLP private membership community. So, if that interests you, if you really want to excel and just work with other community members, and work with me; if you don’t have time to fly into Tucson and be the perfect student, then you can always go to www.privateslp.com/coaching, if you click on that button there, you’ll be taken to another webpage where you can either choose to apply for the PrivateSLP perfect student position. Or If you just don’t have that time, don’t worry: you can work with me one-on-one in the Private community there, and there’s a button there that will take you and get you all signed up. There are other members in the community, and they sure are enjoying it, and we’re all helping each other, and that’s what it is. People, I believe, come for the content, but they stay for the community. And that’s important, because I remember when I was starting out. I just didn’t have someone to help me, hand in hand, just grow and scale my own Private practice. So, I really want to help others, so this is my way of doing that. So if that’s something that interest you just go to www.privateslp.com/coaching. Now, today, I wanted to talk about the Noah principle in Standard operating procedures. SOP’s, they call them in the Marketing world. SOP’s are things that you must have when you are starting, growing, and scaling your own Speech therapy private practice. 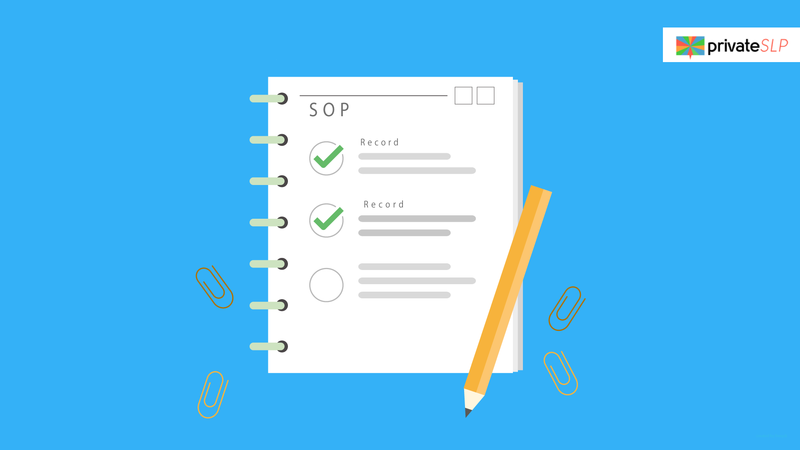 Now, what is an SOP? Its a standard operating procedure, and you’re going to have many of those; you’re going to have a standard operating procedure for your billing, you’re going to have a standard operating procedure for your referrals, you’re going to have an SOP for employees and scheduling, you’re going to have an SOP in pretty much everything you do. Don’t forget, when you’re starting and just growing that Private practice, go ahead and write down all of these things down that you’re doing during the day. I used to do that religiously when I first started my own Private practice. 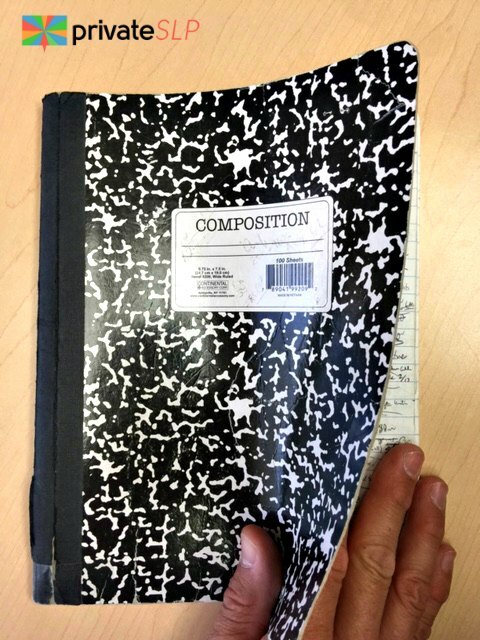 I remember, when I got a referral, I had a notebook, and I wrote everything down; the date that the referral came in, the date that I got the patient on the phone, to schedule them and obviously the day that I scheduled that evaluation; and then also, the date that I sent that report back to the Pediatrician. And overtime, I realized that was one of my first SOP’s, my standard operating procedures, for how to work and deal with referrals that are coming in. And now that we get well over 120 referrals every month, it’s nice to know that there is a checklist, kind of like a pilot that uses a checklist when you’re in the cockpit, and about to take off; does the plane have fuel? Does flaps work? All that stuff. I mean, pilots use checklists all the time. I remember when I was in Manly, Australia, last month, and I was admitted to the Emergency Room, because some of you who know me personally, I walked right into a glass wall, and had to have stitches in my head. And, when I got to the Emergency Room it only took 45 minutes because of SOP, Standard operating procedures. The nurse, she greeted me at the triage room, I went straight back to see the doctor, and they got me all sewed up. But again, that’s an example of SOP. So, when you’re starting, growing, and scaling your own Speech therapy private practice, remember: SOP, standard operating procedure. Another principle I wanted to talk to you about today is the Noah principle. And when you think about Noah, you think about Noah’s Arc, and when Noah was loading all those animals on to the arc in pairs, two animals. 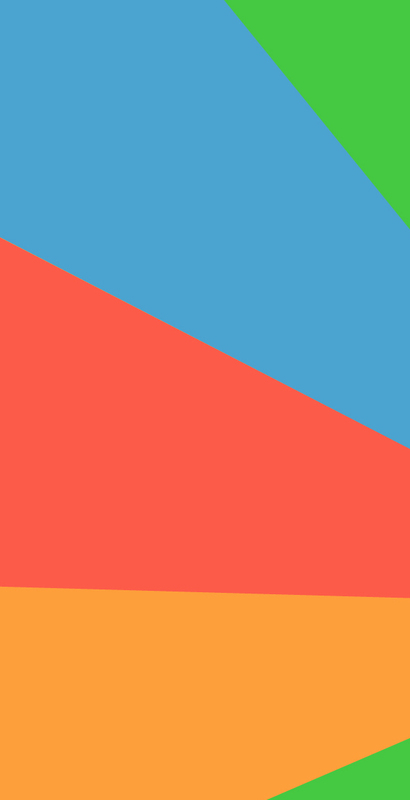 So, you want to make sure that two people in your office are trained on every single procedure. That way, if somebody is out on vacation, or unfortunately, if someone is sick, the other person can take over that task. It’s very important. 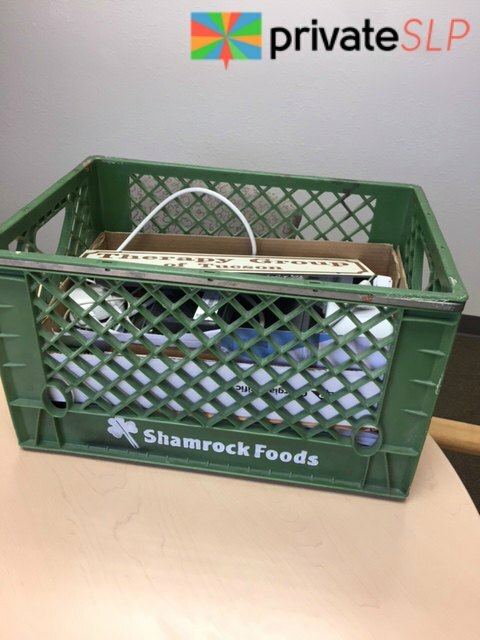 I know here in our Private practice in Tucson, everyone is trained on the referral SOP’s, everyone is trained on the scheduling SOP, we have two people trained for billing and AR SOP’s, everyone is trained; so that way, there’s always a backup. And it’s very important in a business to make sure that everyone is duo-trained, or use the Noah principle when you’re starting and growing that Private practice. I hope this information is been really beneficial for you and as always if you need help with growing your own Speech Therapy Private practice, reach out to me here, and as always, Thank you for listening.